Speaker of the House Paul Ryan arrives for a press conference at the U.S. Capitol this morning. House Speaker Paul Ryan has been unanimously re-nominated by his party to continue to serve as speaker in the 115th Congress. According to Ryan spokeswoman AshLee Strong, Ryan was nominated by Rep. Mick Mulvaney, R-S.C., a founding member of the conservative Freedom Caucus that helped to push out former House Speaker John Boehner. Reps. Chris Collins, R-N.Y., who was the first House Republican to endorse President-elect Donald during the primaries, and Martha McSally, R-Ariz., seconded the nomination. Ryan still has to win a majority by the full House when the new Congress convenes on January 3, 2017. He's expected to easily win that vote, but could still face some defections even within his own conference then. California Rep. Kevin McCarthy was also unanimously re-elected as majority leader, as were House Majority Whip Steve Scalise, R-La., and GOP Policy Chairman Luke Messer, R-Ind. House GOP Conference Chairwoman Cathy McMorris Rodgers, R-Wash, was also re-elected, and will now be the only woman serving in Republican House leadership. There will be three new members of the GOP leadership in the 115th Congress. Ohio Rep. Steve Stivers was chosen to succeed outgoing National Republican Congressional Committee Chairman Greg Walden, Ore., who has led the political arm tasked with protecting and growing the GOP House majority for two cycles. Missouri Rep. Jason Smith will be the new House GOP conference secretary, succeeding North Carolina Rep. Virginia Foxx, who is line to chair the House Education and the Workforce Committee. And Georgia Rep. Doug Collins will be the new House GOP conference vice chairman, succeeding Kansas Rep. Lynn Jenkins, who did not seek re-election. For Ryan, his re-nomination is a show of unity heading into the new year where Republicans will control both the legislative and executive branches. The former 2012 vice presidential nominee clashed often with the incoming president, somewhat reluctantly endorsing him and then later not campaigning with him after a 2005 Access Hollywood video showed the former reality TV star using crass language to demean women. 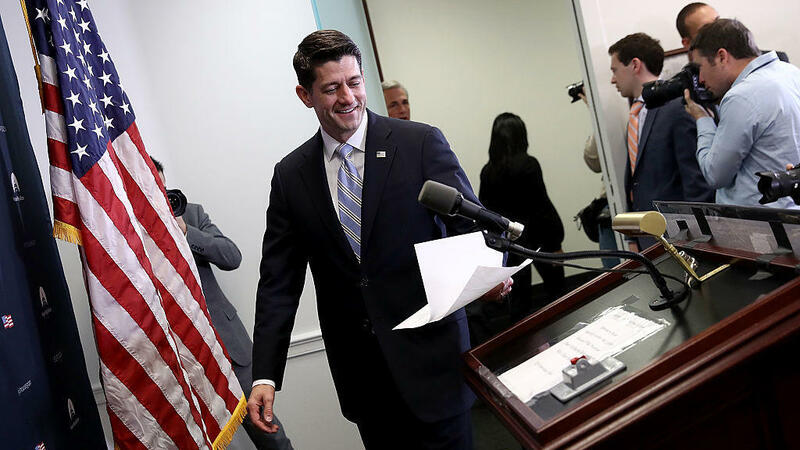 But in the days since Trump's shocking upset of Democratic nominee Hillary Clinton a week ago, Ryan has signaled a willingness to work with the new president and put aside any past conflicts. "Welcome to the dawn of a new unified Republican government," Ryan said at a news conference earlier Tuesday. "This will be a government focused on turning President-elect Trump's victory into real progress for the American people."